We used Scratch 3 to program a micro:bit to be a Marty remote control! 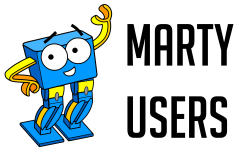 Tilting the micro:bit steers Martys around, while the buttons can be used to make him kick and wiggle. We can also use the LEDs on the micro:bit to show things, like the battery level on Marty! 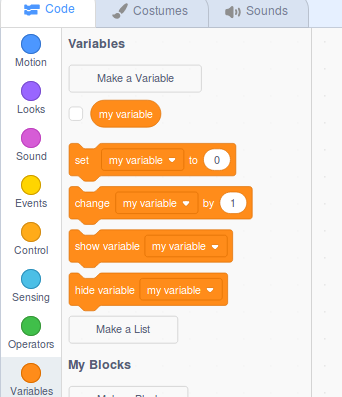 This is a fun project in Scratch 3, and makes use of a Bluetooth connection to the micro:bit, so you don't need to have the micro:bit connected to your computer! Getting started is really straightforward, but we'll also take things a bit further to show off how some snazzy programming can make a smarter remote control! Now, when you press the A button on the micro:bit, Marty will get ready and wiggle his eyebrows! Cool! As well as using the micro:bit as input, we can also use the LED screen on the microbit. Adding an extra block we can say Hello too! We want to use the A and B buttons to kick the left and right legs, so we need to find another way to get Marty ready. Here I've used the "when shaken" block to make Marty wake up and get ready when the micro:bit is shaken! 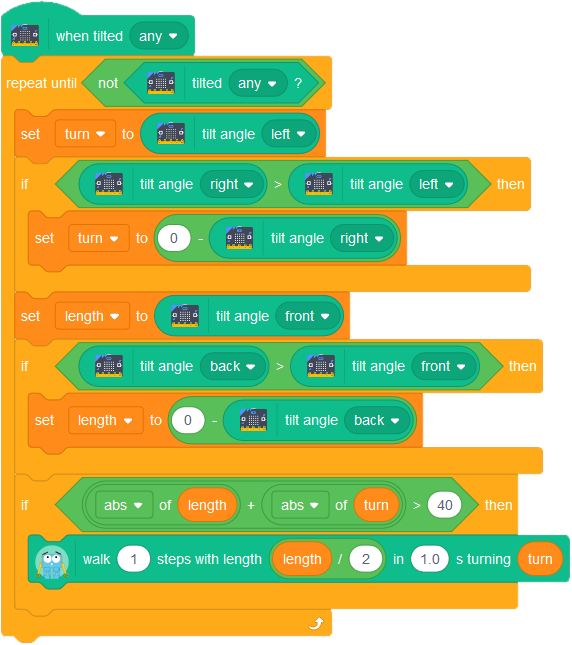 Tilting the micro:bit forwards or backwards will make Marty walk forwards or backwards a couple of steps. Tilting left or right will product sidesteps. 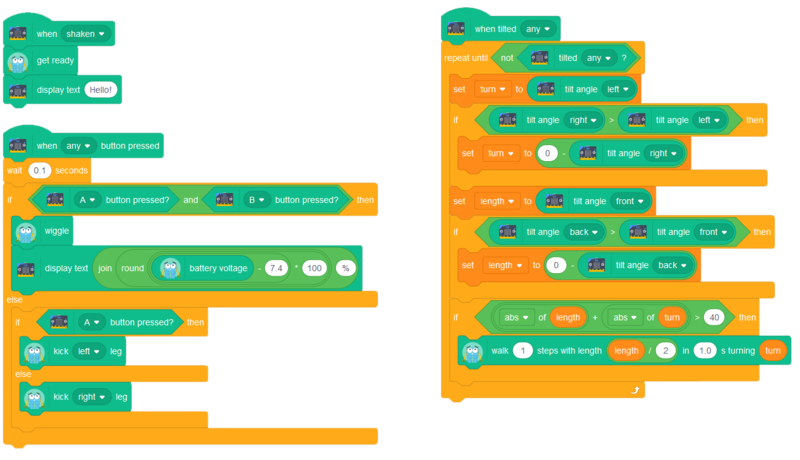 This uses the Scratch 3 block to display a pattern to the screen on the micro:bit. We've drawn arrows here, but you could use whatever you want! That program will definitely work, but what happens if you tilt the micro:bit diagonally? Marty might take a couple of steps forwards, then sidestep, or the other way around maybe... it's hard to know exactly what will happen, as the micro:bit is tilted both front-ward and left at the same time. 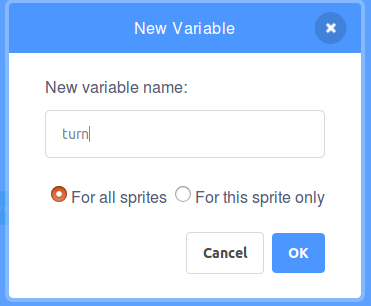 We start by assuming the micro:bit is tilted more left than right, and set the variable `turn` to the amount of left tilt, which is a number from 0-100. We tell Marty to walk one step with the `length` and `turn` we just defined! 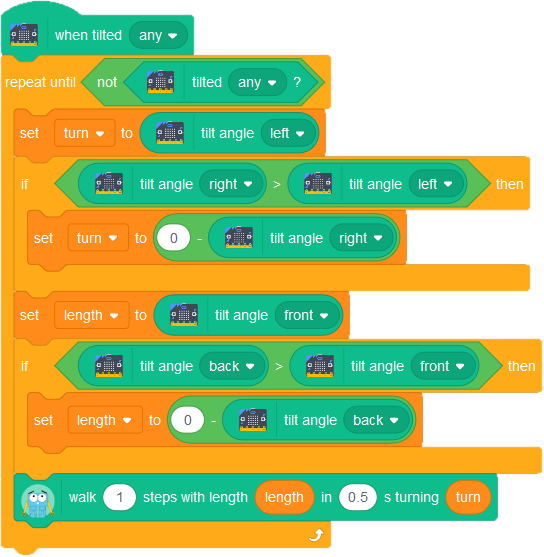 If you've tried the code above out, you'll see that you have to hold the micro:bit really really flat to stop it sending walk commands to Marty. This code is very similar to before, except we added in an if abs of (length + turn) > 40 then instruction, and we only walk if the combination of length and turn variables passes a threshold.  So that could be a turn of 40 or more, a length of 40 or more, or a turn of 20 combined with a length of 20. The abs block there is used to make the sum of length and turn always a positive number. abs stands for absolute, and refers to the magnitude of a number, rather than whether it is positive or negative. so abs(40) would be 40, and abs(-40), would also be 40! We need to do this so that when we compare >40, or greater than 40, it will allow numbers 'bigger' than 40, whether they're positive or negative. You can change the 40 in the code to make the controller more or less sensitive! I also thought the step length was pretty large, so I divided it by two to give Marty a bit of a break! I didn't actually spot this until I was filming the video above and I wondered why Marty wouldn't walk diagonally forwards in one direction. But that's why testing is important, and we all learn by making mistakes! Ok, with that fixed though, the tilt control works well! Making the buttons do more! We can use the buttons to kick, but it would be cool if we could make Marty wiggle if we pressed them both at the same time, to celebrate scoring a goal after kicking a ball maybe! 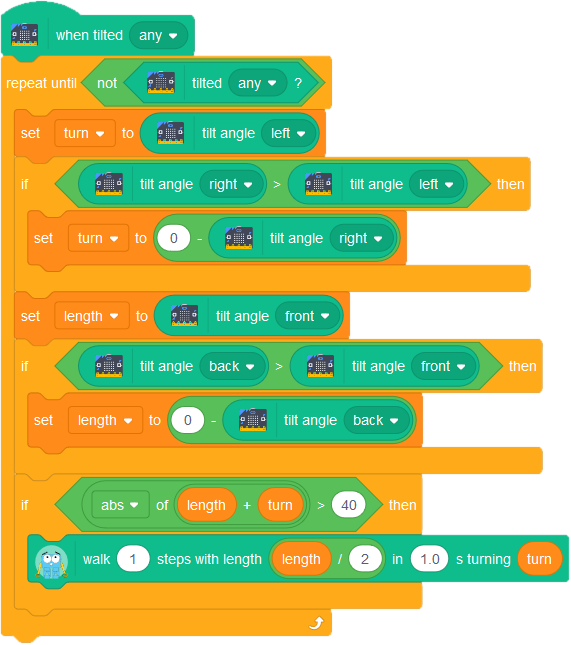 Unfortunately, there isn't a 'when both buttons pressed' block for the micro:bit in Scratch 3 yet. So we'll have to make one! Rather than having separate when A button pressed and when B button pressed sections, we'll have just one section that deals will all button pressing! Now we check to see if both buttons are pushed, using an `and` block, and if they are, we wiggle! In a long session of Marty football, it would be great to know how much battery your Marty has, and we can use the micro:bit to show that! Then we use the join block to join a '%' to the end of it when we display it. I also uploaded the program here, so you can download it and try it out yourself!